Testing the 4wd and hill climbing. 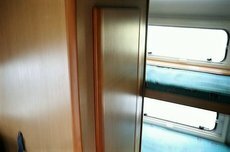 Russells review after 4000 mile trip to Perth as follows. 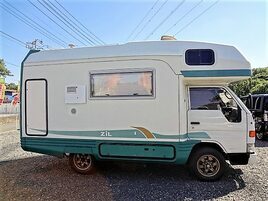 I purchased a lovely 4wd Toyota Camroad Leo model from Export Nippon last year and must say its been a great experience dealing with this company.The camper has been a please to drive and found the 4wd capability of this Camroad excellent and able to drive through snow mud and on the beach with no problems.Economy has been good and it is a very smooth motorhome out on the road. I ordered a 2007 Toyota Camroad Zill model and my experience with your company has been very good.I placed a order for this model a few weeks ago and Just picked it up last week. 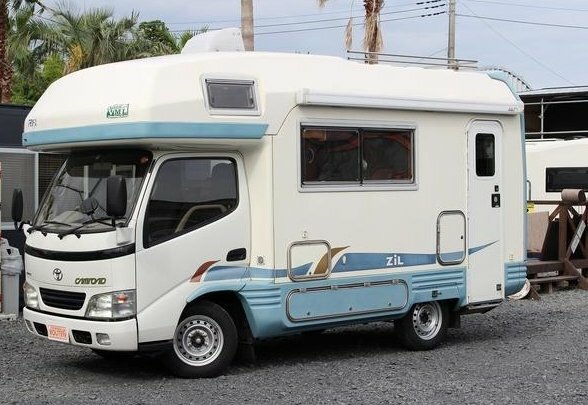 I can say the motor home was very good and presented in as new condition.I am very happy with the unit and would recommend purchasing from this company. 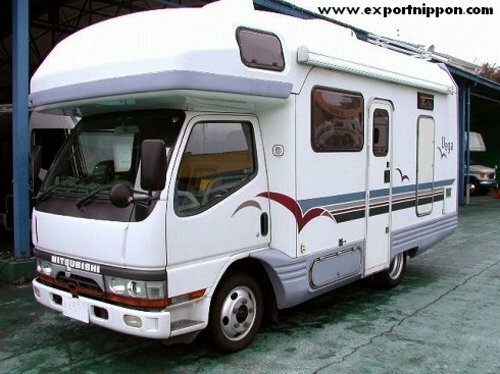 I've bought 4 Motorhomes from ExportNippon over the years - couldn't be happier with each and every purchase. Thanks again. - David L Swansea united Kingdom. 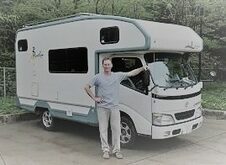 RV Sales director Mark was super! Worked with me even on his day off. We think we got a great deal. Even came with a nationwide warranty. - Robert Cairns Qld. 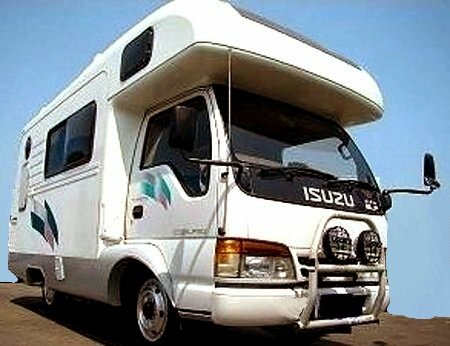 4wd isuzu. 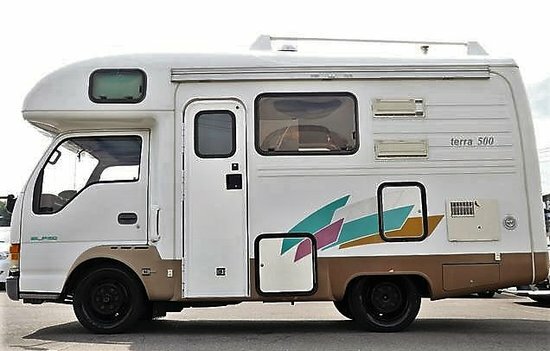 I really love the Toyota Road King I imported through Japan Campers. 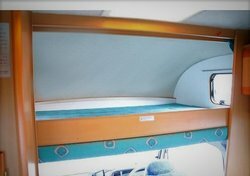 Thank you so much for the fast service and ​the outstanding quality of the camper.Highly recommended.2002 Toyota Camroad 4wd Road King. 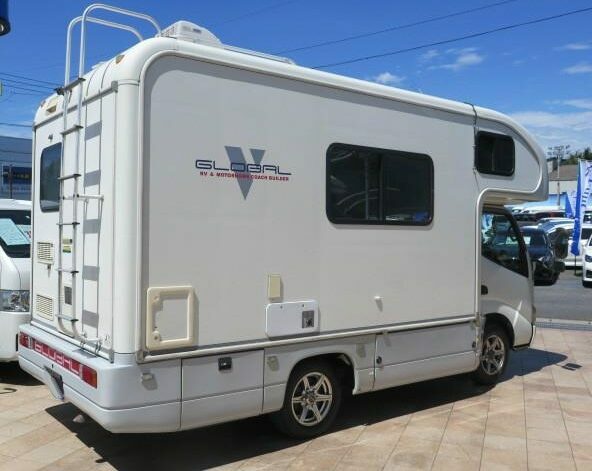 Thank you so much for finding me a fantastic 4wd Toyota Camroad.I am very happy with the speed of your company,s service and the quality of the motor home sold to me.I will now be able to go off the beaten track in this wonderfull motorhome . 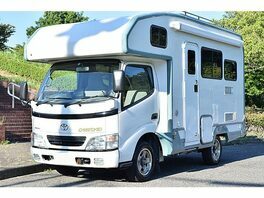 Subject: Re: Toyota Camroad motorhome with rear bed setup one owner. 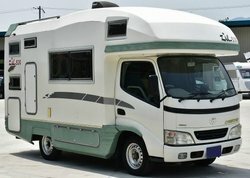 Thank you for your phone call this afternoon and explaining the costs of the motorhome . Subject: Re: 2nd wide body Toyota Luxury interior model. 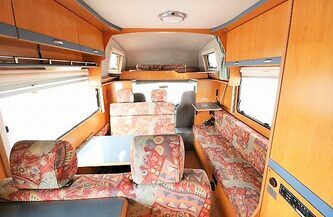 Hi Mark- we will go with the leather seats and 55000 klms. Thanks for your patience- give me a phone call when you get a chance. Bryan Cambridge NZ. Good morning Mark. Thanks for confirming payment and your patience and for going the extra mile for us. 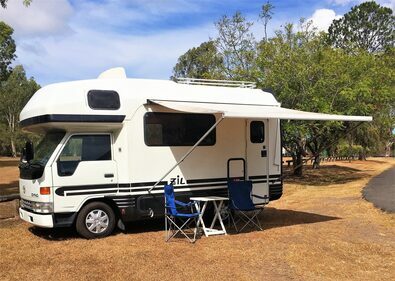 For that trip I’m looking forward to buying a motorhome at my arrival in Australia (Sydney). 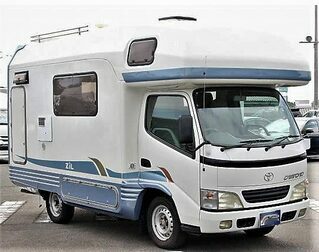 I’ve been looking at different web sites to evaluate the various motorhomes that may be available in Australia. 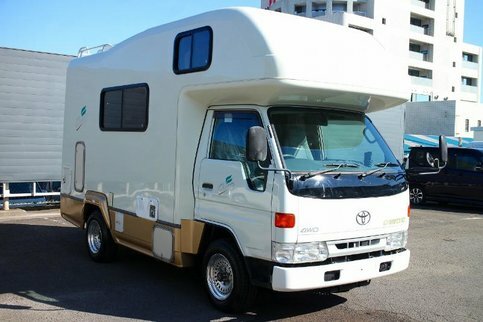 And the fact is that the Toyota Camroad motorhomes you propose seem to correspond quite well to my needs. I’ve already seen on your web site some models that seem to correspond to my needs, but I understand that you may be able to “order” in Japan a model that would really perfectly fit with my needs. 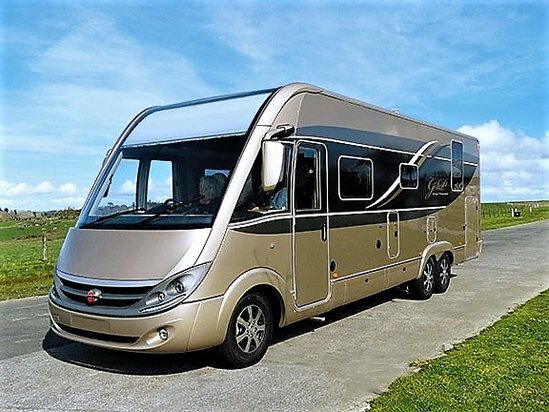 Thanks you so much for the wonderful motorhome you sent to me,We are very pleased with your honesty and no hassles fast delivery.The camper is better than expected and very economical.I recomend your service.